1. 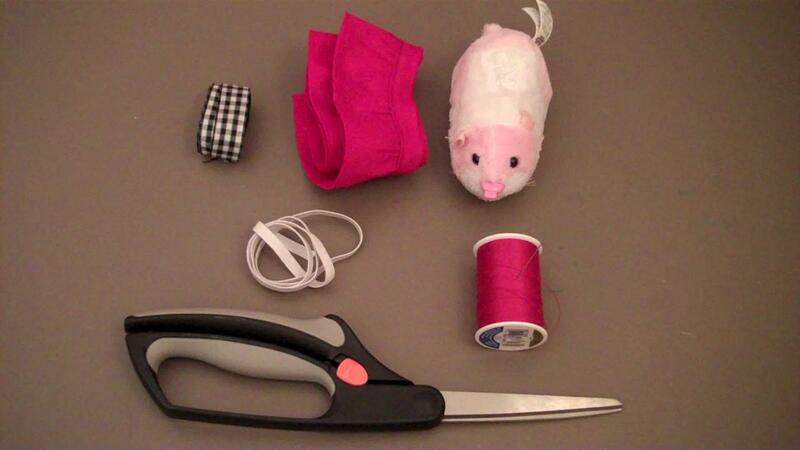 Take the red trim ribbon and wrap it around the zhu zhu pet to get the desired width of the dress and cut. 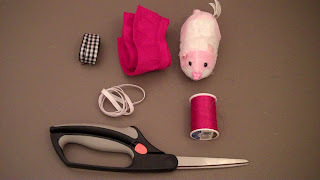 Different zhu zhu pets may require more or less ribbon. It's best to measure on the zhu zhu pet. 2. Make pleates in the black and white gingham ribbon. Make sure that you don't cut the ribbon until you're completely finished making pleates. To make pleates you will fold the ribbon back onto itself and stitch the top together. For this project our pleates only face one direction. Don't worry about making the pleates perfect. You'll be surprised how good the pleates look when you're finished, even if you think you've messed up. 3. 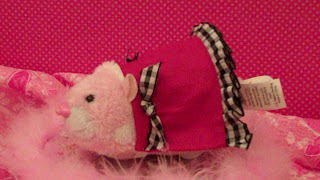 Attach the pleated gingham ribbon to the bottom of the dress by sewing along the top. 4. 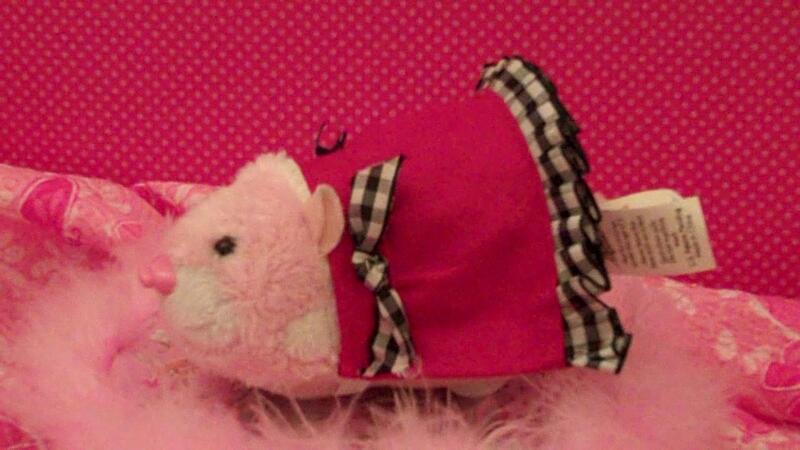 The cute little bows on the dress are made by cutting a piece of gingham ribbon and tying them in a criss cross knot. The bows are placed on each side of the dress. To make sure they are positioned on each side, fold the dress in half and sew the bow in the center of the folded half. 5. Sew along the top of the ribbon and hem along the sides. 6. Last we place the finished dress on the Zhu Zhu and measure out elastic for the bottom. You'll want to make sure that it's not too loose and not too snug. Sew on the elastic and you're done. You now have a beautiful red gingham dress for your Zhu Zhu. These dresses make great gifts too!